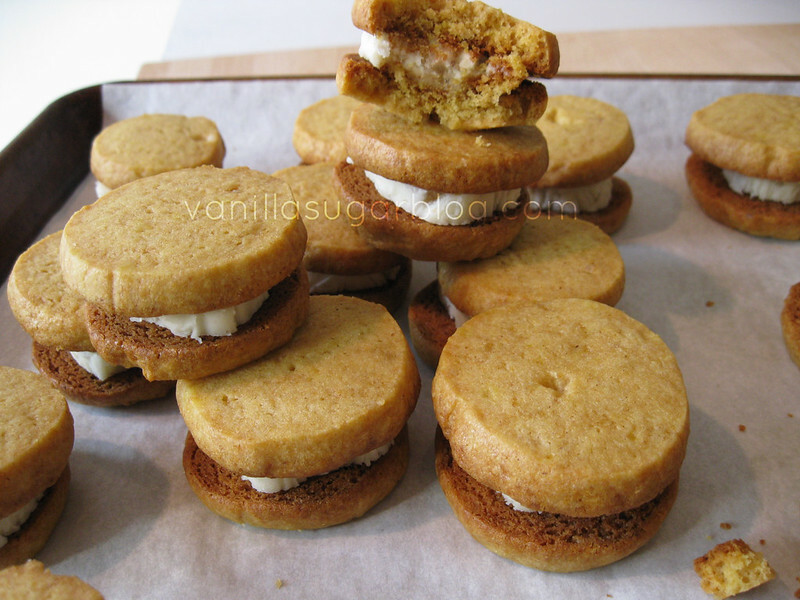 Call me lazy smart, but there are times when I will skip a recipe all-together because the filling or the frosting is too hard and I don't want to fill or frost 50 cookies or cupcakes. So any short cut I can think of to "skip" that step I'll consider do it. 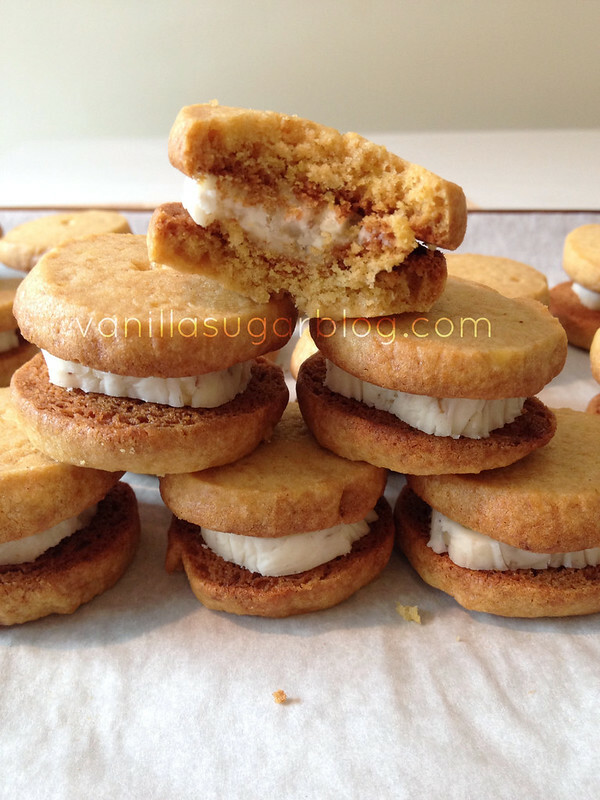 And filling cookie cream sandwiches? Oh that is time consuming. But I have found a nice short cut. I rolled up the cream filling into a nice long log, chilled it, then sliced it off like a cookie. I thought the cream filling would not harden and it might not take, but it sure did; firmed up just perfect for slicing. Only thing you have to remember is to roll the cream filling a bit more narrow than the size of the cookie. But it definitely works on creme-filled sandwich cookies. And what a time saver! When the cookies were done, I merely sliced off the filling and assembled! I think that saved me 30 minutes of what used to be frosting labor! that these are very easy to make. Which makes it perfect for the upcoming holiday baking! 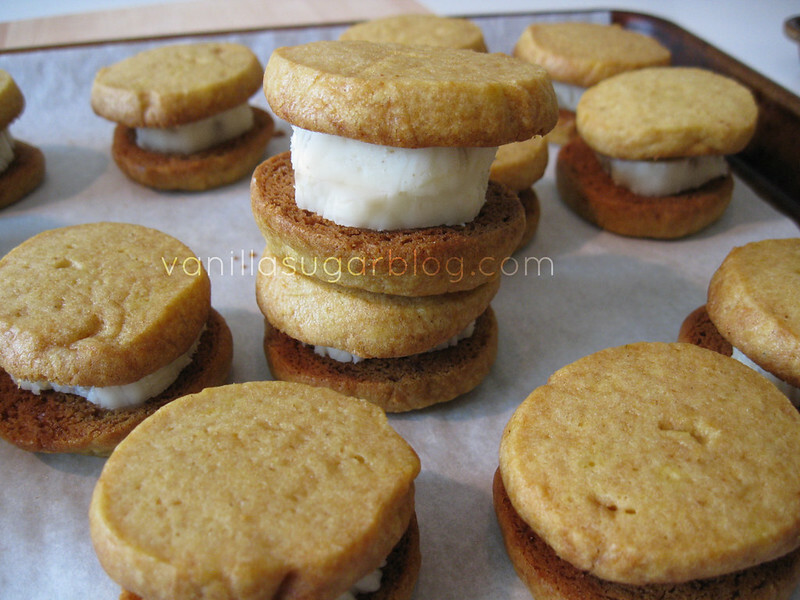 BONUS: you can make your own "double stuff" Oreo's! Slice and stuff! Easy right? 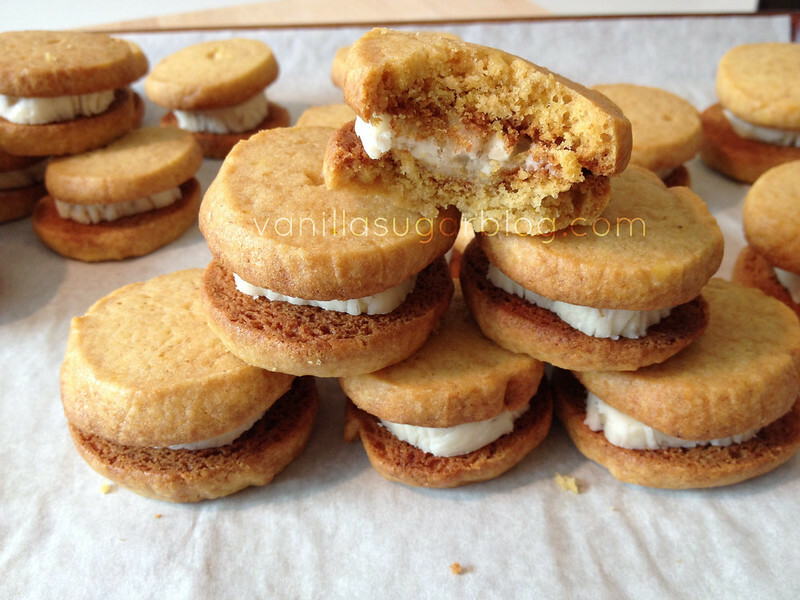 I used a bit of nutmeg and finely chopped walnuts for the cream filling. You don’t have to you can leave it plain or a dash or two of cinnamon. I sliced the cookies off the dough roll about ½-inch thick. If you slice them too thin, they aren’t that strong when baked. This is a crispy outside cookie with a delicate, not soft, inside. Not a wet or moist cookie at all. 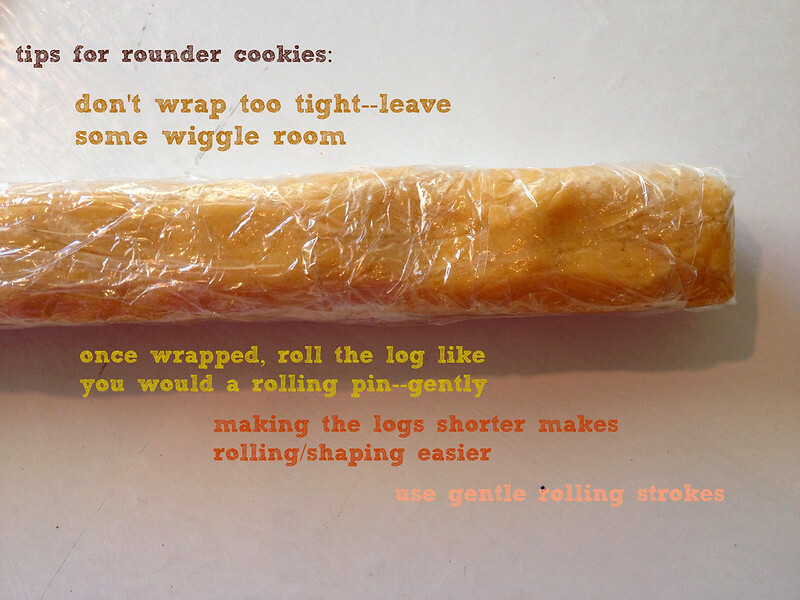 Once you roll up the cookie dough in plastic wrap, roll it back and forth like a rolling pin to get it more uniform/circular; this will help you have a more “circle shaped” cookie when you slice it. There will be extra filling left over, but save it for the next batch of cookies—I think it freezes fine if you cover it well. In a large mixing bowl, whisk together the flour, cornstarch, baking powder, baking soda, pumpkin pie spice, and salt; set aside. In the bowl of your stand mixer, fitted with the paddle attachment, beat the butter and sugar together on med-high until well mixed. Add in 2 egg yolks and pumpkin butter and mix. Add the flour mixture and beat on low speed until just combined. Please do not overmix. Scrape the cookie dough out onto a very lightly floured surface. 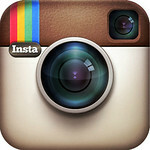 Form it into a two long logs. I find that once the log is wrapped its easier to form it into a more even log by rolling it back and forth as if it were a rolling pin. Get it as uniform as you can since we will be using this to slice out round cookies. Wrap in plastic wrap, and refrigerator at least 2 hours or overnight. Make the filling next as you need to give it time to chill. Using a hand mixer or stand mixer mix all ingredients until well combined. Do a taste test and see if it needs more salt. Place onto plastic wrap and form into one or two logs. 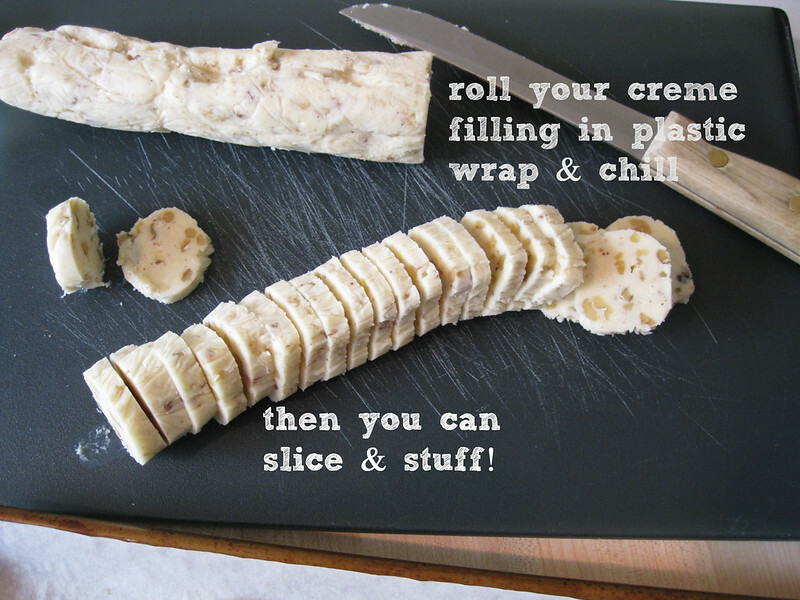 Form by rolling with plastic wrap on, into a nice uniform, rounded log, so it make for slicing easier. 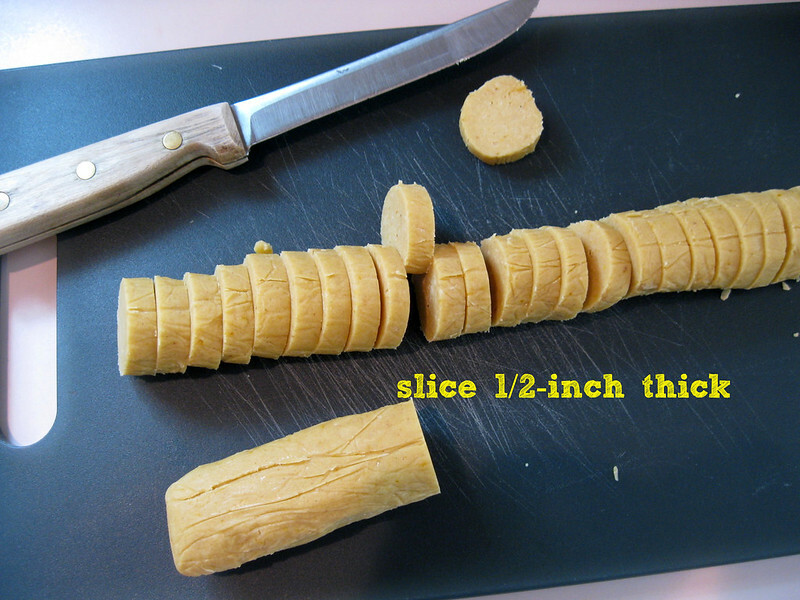 Remove one log of cookie dough from the fridge, and using a sharp knife slice cookies about ½-inch thick or thicker. Place about an inch apart on baking sheet. Bake the cookies for 10-14 minutes, or until they have puffed and the tops look set. Remove the sheets from the oven and allow the cookies to rest for about 15 minutes before transferring them to cooling rack. 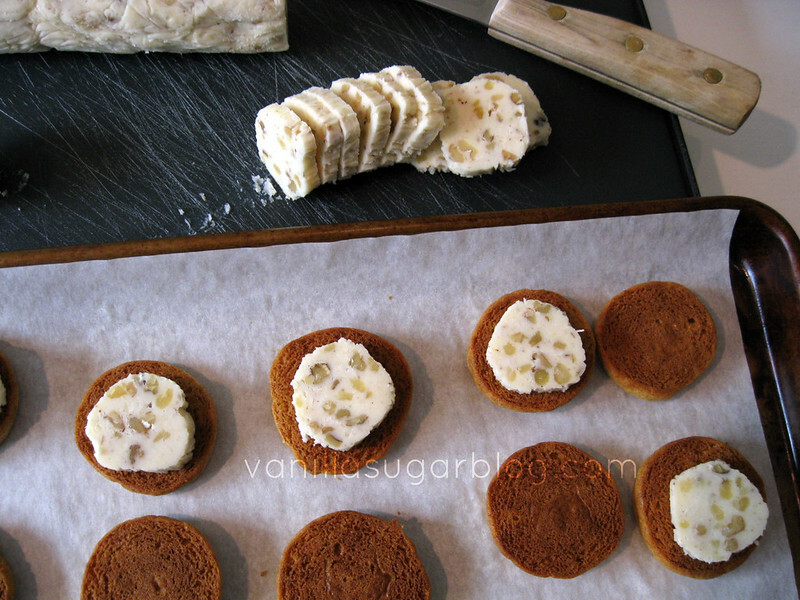 Take chilled crème filling, and slice about ¼-inch slices; place onto/into cookies. Should make about 24-26 sandwich cookies. Good God, Woman. You're a genius! I'm coming to live with you! Nabisco better watch out! These pumpkin oreos look DIVINE. Dawn, I tried to answer your email but it kept getting rejected. Somehow would not go thru. Anyway, here is my mailing address: Jan Canyon, 405 N. John F. Kennedy Ave, Keytesville, MO 65261 I am excited about winning the cookbook and delighted to have something new to cook from ( other than YOUR delicious recipes! ) 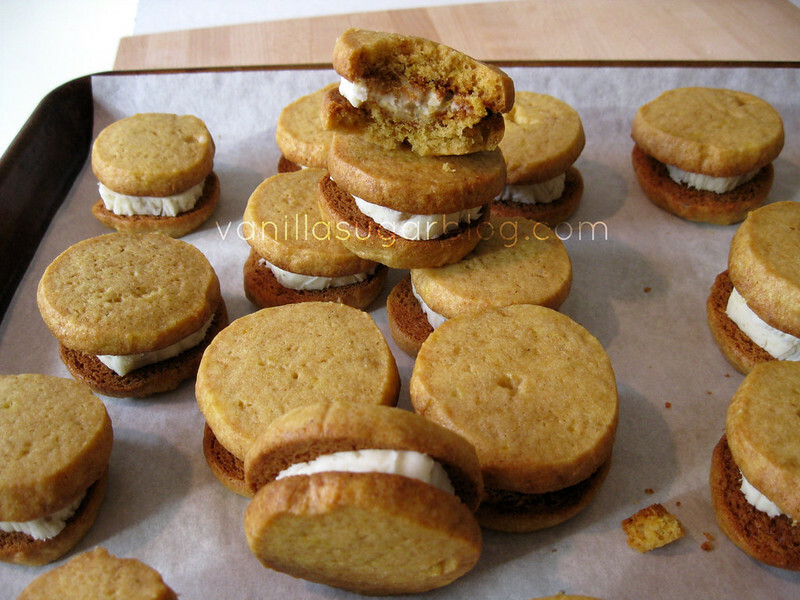 These pumpkin Oreos are definitely next up in the kitchen! ahhh ok. I wondered what had happened. Got it! That is definitely a great idea for filling the cookies! what a super idea for filling cookies!!! Let's be real. I'm so much more excited about pumpkin oreos than regular oreos. and you're kind of a rockstar for creating these!! Another winner! I'll bet they taste as good as they look! What a good idea! These beauties look delicious - I don't know if I could eat JUST one! 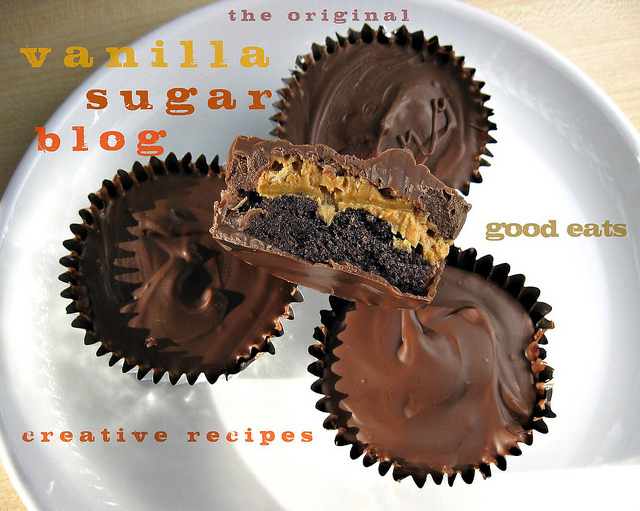 Smart Idea with rolling the filling! What a time saver! Did not want to read about over-rated supplements, but did. These cookies look amazing! Oreo should take a note from you! 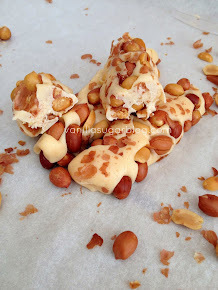 Love the walnuts in the filling and how you sliced it. Genius! Though I have come to expect nothing less than genius from you. Great Idea!! Definitely the very best kind of cookies. Love and like to eat. Thank you for sharing. What a great time-saving idea! I never make filled cookies because I think they're too much work, but this is a great idea to make it easier. Was wondering what it meant by "both sugars"? I only see one sugar in the cookie reciepe ingredients.